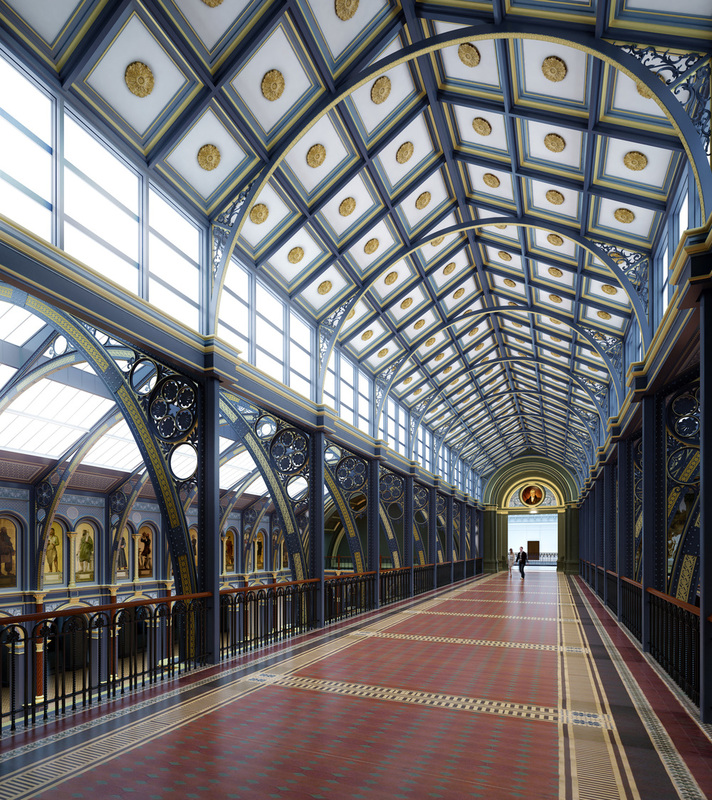 Our CGIs and animation of the V&A’s North East Quarter and South Court brought to life the Museum’s vision for the refurbishment of these historical, highly decorative interiors. 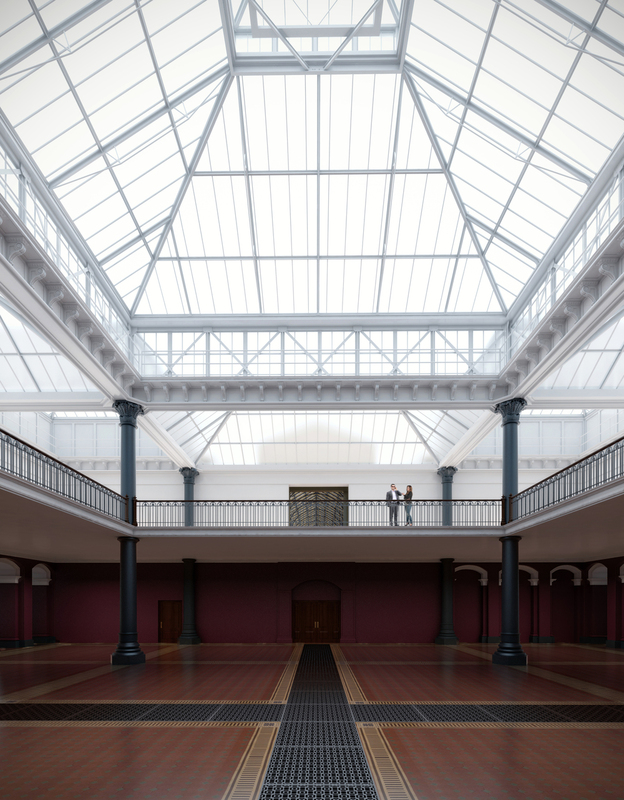 We worked with Nicholas Jacob Architects who were commissioned to provide a coherent study of the condition of the retained historic fabric within the North Court (build date; 1861 – 62) and the South Courts (build date; 1861 -62 and extension 1869 -77). These works formed part of the feasibility study put together by the V&A in conjunction with Lend Lease. Working with NJA’s surveys, drawings, as well as historical photographs from the V&A’s archive, we pieced together this convincing and highly detailed virtual environment. We were also lucky enough to get behind the scenes access, exploring areas of the building and roof not normally accessible to the public.